Mains level: The newscard highlights the possible social implications by regulating small amount gambling by poor sections of society in the ambit of regulating Betting and Gambling completely. The Law Commission has answered a question which has lingered in debate for decades, and found that it would be desirable to open sports to betting, with the caveat that it must be regulated. It has also respected the public will, insisting that this is a political decision for Parliament to thrash out. Indeed, gambling cannot be imposed on a morally sensitive public, and implementation could prove to be difficult. It would be useful to gauge the public mood through its representatives in advance. Legalisation would generate jobs and revenues for the government, and regulation would help contain financial crime. Unless betting is legalized, it will persist underground in a completely unregulated form, a fact that the Constituent Assembly was seized of. It will continue to excite the interest of fixers and mafias, will ensure the criminal intimidation of players, and remain a conduit for money of questionable colour. The commission has rightly suggested the criminalisation of fixing, with significant legal deterrence, and undescored the need for betting to be allowed only under the control of the state. State governments must ensure that illegal betting, which flourishes on street corners and on the phone network, is suppressed. The attempt to segregate “proper betting” for high stakes from “small gambling” by the poor may not survive scrutiny. The suggestion is well-intentioned and would protect the economically weaker sections, but disbarring from participation all players who get subsidies or do not pay taxes may violate the principle of equality of access. Persuasion may prove to be a more suitable protector of the vulnerable than such segregation. Bringing betting overground is an economically and socially desirable objective. But as the commission has said, it must be operated strictly within the purview of the law. Putting part of the population beyond its pale would keep a section of the business underground, defeating the purpose of the reform. One of the biggest challenges in the rollout of Ayushman Bharat is manpower training for the 1,53,000 health and wellness centres. But a hub-and-spoke model developed by the University of New Mexico (UNM) has come to the rescue. 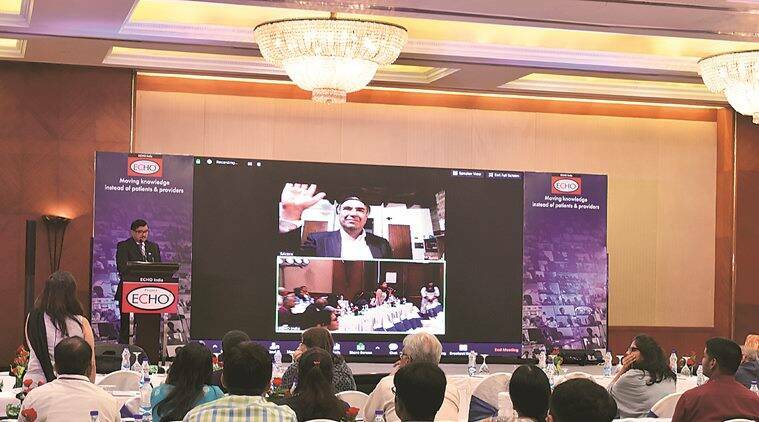 Developed by Indian-origin doctor Dr Sanjeev Arora in Albuquerque, ECHO (Extension for Community Healthcare Outcomes) is a collaborative model of medical education and care management that empowers health workers. For the HWCs, ECHO is one of several programmes that will be used to train ASHAs as, for the first time, primary care in India moves beyond reproductive health and vaccination to include screening for non-communicable diseases, geriatric care and mental health. The ECHO model does not actually “provide” care to patients, but it dramatically increases access to specialty treatment in rural and underserved areas through the use of teleconferencing. Thegoal is to use the telemedicine platform so that healthcare performance may be enhanced by access to knowledge. This programme is to conduct the training of ASHAs. A team from UNM travelled to India to kick off the first installment of the training. The first batch of 160 officials from four states was trained in ECHO over three days at a hotel here. an actual ECHO session where UNM professors joined in. The participant states — Gujarat, Uttar Pradesh, Delhi and Maharashtra — also clarified their doubts during the exercise. Under Ayushman Bharat, the plan is to create eight ECHO hubs, including in AIIMS Delhi, AIIMS Bhopal, KGMU Lucknow and PHI Nagpur. The National Board for Wildlife (NBWL) recently added four species to a Recovery Programme for Critically Endangered Species on the recommendation of a Standing Committee. The progamme is one of the three components of the centrally funded scheme, Integrated Development of Wildlife Habitats (IDWH). The recovery of some of the Critically Endangered or Endangered fauna is a difficult task. Except for few cases, most of the recovery activities are restricted to study/research and monitoring. The recovery plan for the Great Indian Bustard and Wild Buffalo (Central India Population) was discussed two years ago and the plan was also sanctioned with financial allocation but it is yet to be grounded. Now, there are very less chance of recovery of these species. The planning should be done before a species reaches to a critical stage. Once found in abundance across northeast India, northern and central India, the Wild Buffalo now has its last bastions in some pockets in northeast India and Chhattisgarh. According to a survey by the Wildlife Trust of India (WTI), not more than 50 individuals of the Wild Buffalo remain in three sub-populations in Indravati National Park, Pamed and Udanti Wildlife Sanctuaries in Chhattisgarh. According to the WTI, the number of wild buffalo in Udanti-Sitanadi Tiger Reserve, Chhattisgarh increased from 7 to 11 under the Central India Wild Buffalo Recovery Project, a joint venture between the state forest department and WTI. The Integrated Development of Wildlife Habitats (IDWH) is a Centrally Sponsored Scheme launched during the 11th Plan period to provide technical and financial assistance to States/UTs for protection of wildlife habitat. So far, 17 species have been identified under the recovery programme. 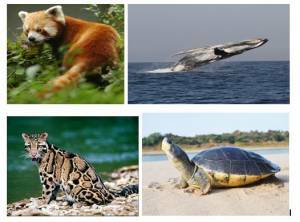 National Board for Wild Life is a statutory body constituted under the Wildlife Protection Act, 1972. The board is advisory in nature and advises the Central Government on framing policies and measures for conservation of wildlife in the country. It serves as apex body to review all wildlife-related matters and approve projects in and around national parks and sanctuaries. Primary function of the Board is to promote the conservation and development of wildlife and forests. The NBWL is chaired by the Prime Minister. It has 47 members including the Prime Minister. Among these, 19 members are ex-officio members. Other members include three Members of Parliament (two from Lok Sabha and one from Rajya Sabha), five NGOs and 10 eminent ecologists, conservationists and environmentalists. NITI Aayog has invited suggestions on creation of National Health Stack. India is witnessing significant trends in health: increasing prevalence of non-communicable diseases for instance, as well as marked demographic shifts. Climbing out-of-pocket costs is becoming difficult for most households. The National Health Stack (NHS) envisages a centralized health record for all citizens of the country in order to streamline the health information and facilitate effective management of the same. The proposed NHS is an approach to address the challenge and seeks to employ latest technology including Big Data Analytics and Machine Learning Artificial Intelligence, a state of the art Policy Mark-up Language. It also aims to create a unified health identity of citizens – as they navigate across services across levels of care, i.e. Primary, Secondary and Tertiary and also across Public and Private. This flagship health programme is designed with a powerful yet simple objective in mind: to develop a wellness focused strategy, ensuring cost effective healthcare for all. Achieving such scale requires a rethink the core technology backbone of our system and leverage cutting edge digital solutions to tackle the challenge. The innovativeness of the proposed National Health Stack design lies in its ability to leverage a shared public good – a strong digital spine built with a deep understanding of the incentive structures of the system. Once implemented, it will significantly bring down the costs of health protection, converge disparate systems to ensure a cashless and seamlessly experience for the poorest beneficiaries, and promote wellness across the population. 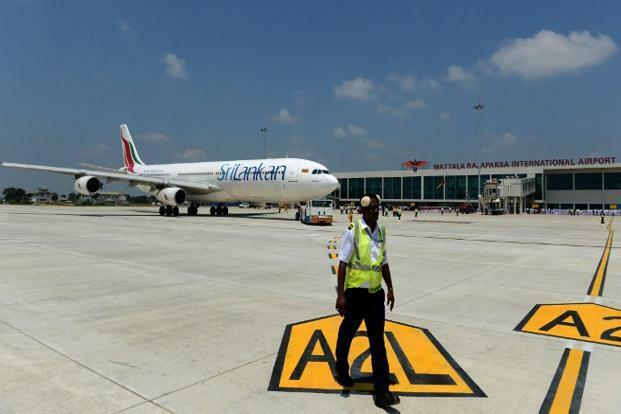 The $210 million facility, 241km south-east of Colombo, is dubbed the “world’s emptiest airport” due to a lack of flights. Mattala airport, named after former president Mahinda Rajapaksa, was one of the major infrastructure projects of Rajapaksa’s nearly a decade-long rule. The project was funded through high interest Chinese commercial loans. The airport was officially opened in March 2013. The Hambantota port was a major Chinese-assisted infrastructure project in the home district of Rajapaksa, whose nearly a decade-long rule was ended by President Maithripala Sirisena in 2015. However, the regime change is not attributed to disfavor India, unlike that has been the case with the Maldives. The suggestions were on wide-ranging issues such as cross-border data flows, taxation, trade facilitation and logistics, consumer confidence, IPR and future tech, FDI and competition issues. The sub-groups saw participation from various ministries and departments, high-level representatives from the industry bodies, e-commerce companies, telecommunication and IT companies and independent experts. It was decided to set up a Task Force in the first meeting of the Think Tank, on the framework for national policy on e-commerce under the chairmanship of Minister of Commerce & Industry and Civil Aviation. The Task Force was further divided into nine sub-groups for preparing recommendations for India’s national policy on e-commerce. Issues related to e-commerce including taxation, infrastructure, investments, technology transfer, data protection, regulations and competition are rising. The decision to set up a task force is to prepare a framework for a National Policy on E-Commerce. The policy is important in view of issues faced by the domestic industry and to help India articulate its stand on ecommerce at the World Trade Organization. Most Indian companies emphasized the need for a regulator, especially because big players are abusing their dominance by burning cash (inappropriate discounting). Mains level: Debate over powers of CJI to redirect cases to various benches. The ‘Chief Justice of India’ (CJI) is an individual judge and not the powerful collective of five senior-most judges of the Supreme Court called the ‘Collegium’, held the Supreme Court. The judgment is based on a petition filed by former Union Law Minister to have a collegium of Supreme Court judges to collectively allocate cases rather than leave the entire power in the hands of the CJI in his administrative capacity as the ‘Master of Roster’. 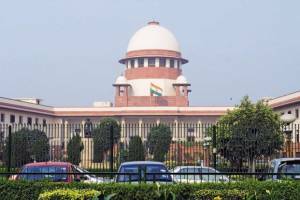 SC highlighted that the CJI owes a moral responsibility to his colleagues and the public at large while flexing his powers as ‘Master of Roster’ to allocate cases. CJI Dipak Misra and some of his predecessors were criticised by four of his senior-most judges led by Justice Chelameswar for allocating cases of national importance to select judges. They hinted that “absolute discretion” cannot be confined in just one man, the CJI. Justice Sikri’s opinion listed some of the qualities a CJI should possess as the Master of Roster, including balance, fortitude, moral courage and independence of mind. As the court’s spokesperson, it is the CJI’s duty to usher in and administer reform as a continuous process. Erosion of credibility of judiciary is the greatest threat. Both Justices Sikri and Bhushan concurred that neither Article 145 (rules of court) and the Supreme Court Rules say the ‘Chief Justice of India’ as the Collegium. Unlike having the Collegium to decide the appointment and transfer of judges, a collective deciding which cases should go to which Bench would affect the day-to-day functioning of the court. The role of the CJI as the Master of Roster was qualified by the consensus from other judges. The CJI took into consideration the expertise, capacity and interest of his fellow judges while allocating cases to them. This duty should be left to his wisdom. It was argued that the authority of the CJI as the ‘Master of Roster’ to allocate cases to Benches should not be reduced to an “absolute, singular and arbitrary power”. The court rejected proposal that the CJI should only sit with two of his senior most judges. And the Constitution Bench should be either a combination of the five senior most judges or three senior most judges, including him, and two junior most judges. The court said all this should be left to the CJI to decide on. Justice Sikri said though the Constitution is silent on the exact role of the CJI, precedents, healthy practices and conventions – engrafted in the Supreme Court Rules – have moulded the powers and duties of the office. Justice Sikri wrote that the CJI is only ‘first among equals’ in his judicial functions on the Bench. The opinion of the CJI on the Bench carries the same weight as any other member of the Bench. This way, the CJI may hold the minority view in a case while the majority opinion on the Bench becomes the law. Attorney General K.K. Venugopal, who was asked to assist the court, had argued that having a Collegium of the five senior most judges to allocate cases among all judges in the court would only invite chaos. Unlike the Collegium to recommend new judges, a collegium to allocate cases would mean judges deciding for themselves which cases they should hear. Better have the CJI decide for all as the Master of Roster. The Judges case of 1998 has infers that the Supreme Court itself had interpreted the term ‘Chief Justice of India’ to collectively mean the CJI and his four senior most judges. The Bench heard the petition despite two separate judgments by the Supreme Court in November 2017 and April this year upholding the CJI ‘s complete administrative authority to allocate cases and constitute Benches. Both these judgments were pronounced by Benches led by CJI Dipak Misra and the verdict had called the CJI an “institution in himself”. A battalion of Central Govt IAS officers has been drafted to ensure on the ground implementation as the Centre races to saturate 117 “aspirational districts” with seven flagship social welfare schemes by Independence Day. PM himself has been monitoring the implementation of these schemes by meeting various beneficiaries and has pointed to this campaign as a model for future of welfare delivery. At least 800 Deputy Secretaries, Under-Secretaries and Director-level officers, drawn from Ministries as diverse as Defence and Urban Affairs, have been assigned about 75 villages to visit, as part of the Extended Gram Swaraj Abhiyan (EGSA) from June 1 to August 15. In total, 49,178 villages — most with a majority SC/ST population — are being targeted. Senior officials from the Ministries of Rural Development, Panchayati Raj, and the Department of Personnel and Training are jointly coordinating the drive. Central officials are being absorbed into EGSA duty for at least 15 working days. They monitor the scheme, get feedback…If there are any hurdles, they can sort it out on the spot. Ex. central officers could direct the local representatives to give immediate sanction for gas cylinders, bank accounts or electricity connections. The teams can also directly input the day’s progress into a data system that can be tracked live on the EGSA dashboard “egsa.nic.in”. Senior Ministry officials also make direct daily calls to a section of District Collectors to monitor progress, while third-party observers for each district —mostly from NGOs or academia — who do random checks of villages and report back to the Ministry. The rate of enrolment during the duration of the scheme has been the most impressive in the Saubhagya scheme, and in the Indra Dhanush Missions. Addressing the NITI Aayog Governing Council earlier this month, PM had said the Gram Swaraj Abhiyan has emerged as a new model for implementation of schemes. However, the large-scale involvement of Central officers raises questions about the viability of such drives, and about roles in a federal democracy. Dissent of the state officials due to central interference and sidelined pending workload was the most common concern raised. This is a deeply problematic way of going about welfare delivery as sought by some states. Constitutionally, while the Centre has higher powers of taxation, the bulk of the expenditure on welfare is to be done by the States. The centralizing trend in flagship welfare schemes allows the ruling party at the Centre to draw political mileage and build vote banks. Direct connections to the district administration tend to bypass State administrations, while sending out large Central teams to do the work of local officials fails to empower local human resources. The new approach is not just centralized, but also personalized.